(Note: This article is supplied for your information only, and should not be used to inform any detailed planning or design. If you have more questions about wind classifications, please contact the Landmark Project Consultant in your area). Australia has learnt the hard way when it comes to building to suit our weather. Over the course of decades, cyclones have left trails of devastation across our country, with names such as Yasi and Tracy leaving indelible impressions on the psyche of the country. When thousands of homes and buildings are damaged from weather, it starts serious thought as to how to prepare for the next one. When it comes to building and construction, out of the rubble has emerged Australia’s set of standards that regulate “wind loads” and how structures are built, and as a result, a much greater percentage of buildings are surviving extreme weather unscathed. 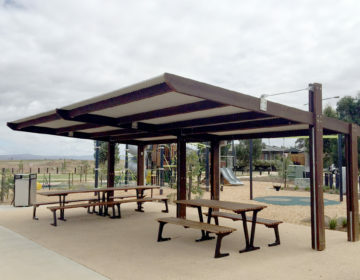 Landmark Products design and build public structures Australia-wide, in many different types of locations, and our team of specialists are fluent in talking the “wind rating” language, and are ready to assist. 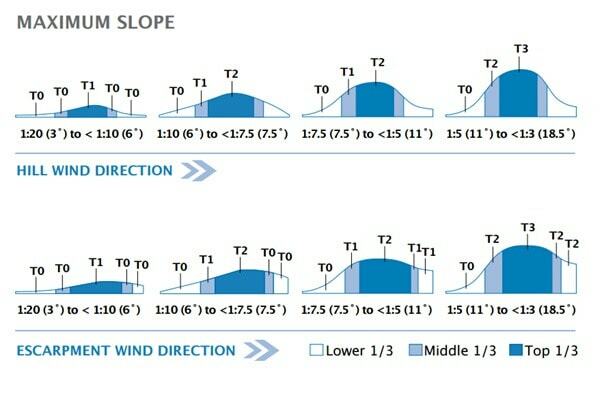 Although too complex to explain fully in a blog article like this, you could benefit from knowing five key points about wind classifications. In many smaller countries of the world, the weather is about the same everywhere. Because of its sheer size – not so Australia. Statistics gurus have gathered and analysed data about wind speeds from around the country over many years, and have divided Australia into four categories from D to A – D and C refer to “cyclonic” regions, and B and A refer to “noncyclonic” regions. 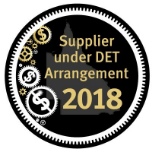 For example, Region D, located exclusively along the Western Australian coastline, a 50 km wide strip stretching several hundred kilometres north from Carnarvon, represents the region of the highest likely wind speed (288.3 km/h). 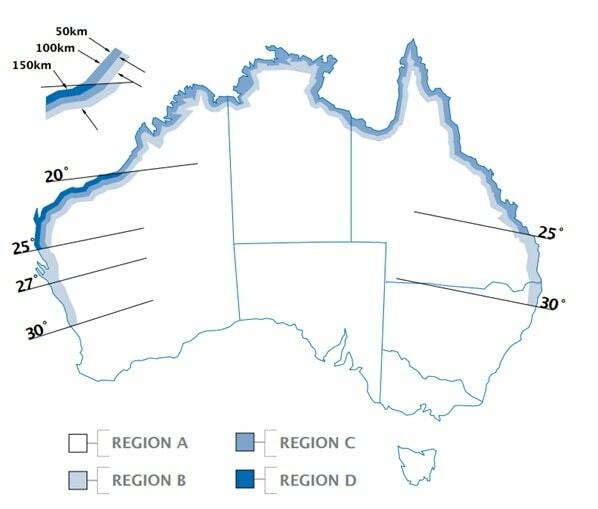 Most of Australia is within a Region A category, representing the lowest likely wind speeds (147.6 km/h). Knowing the region where your structure will be built is helpful, but it is often just the start when it comes to knowing the wind rating required. In addition to “wind region”, the location of individual structures is assessed according to the type of terrain in the surrounding 500 metres. The five categories vary from the most exposed type of site, for example surrounded by nothing but grassy plains, to a site that may be hedged in by numerous houses and buildings. For example, Little House on the Prairie would be Category 1, and Fonzie lived in a Category 3 Fonzie flat. If you are riding a bike or jogging up-hill, you will notice your speed quickly reduce. Wind behaves exactly the opposite. 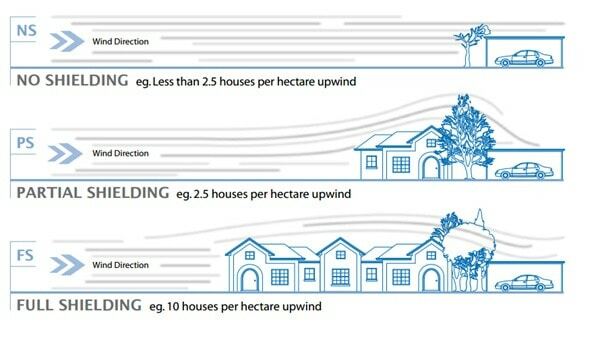 Building sites at the tops of hills, ridges or escarpments typically experience greater wind speeds than those at the bottom, and this is factored in when calculating the wind rating. The opposite applies to the leeward side of a hill. The presence of surrounding buildings of similar size to the structure in question upwind, influences the speed of the wind on a site. For this reason, there are three classifications for “shielding factors”, but they only apply to non-cyclonic regions. These ratings range from “full shielding” where there at least two rows of houses or similar sized permanent obstructions surrounding the building considered, to “no shielding”, where there are no or less than 2.5 obstructions per hectare upwind. 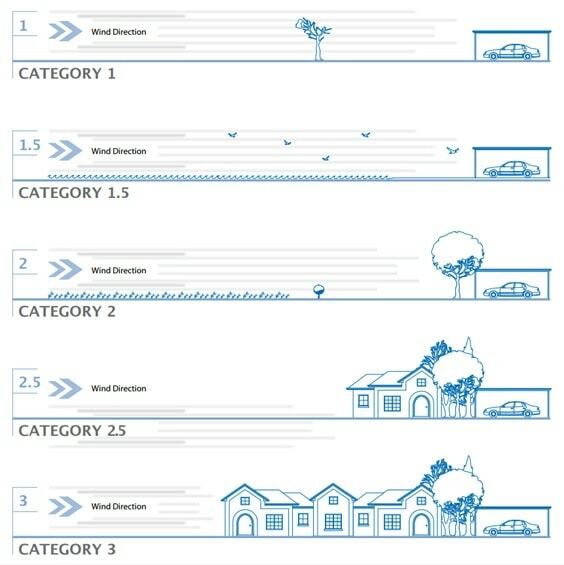 All the above elements of a proposed site (plus some others) are factored into an equation to determine the wind classification for a specific site. 5. Ask the experts first. From the type of timber or metal used in a public structure, down to the type of bolts and washers, there are an overwhelming number of components that influence its strength and resilience in extreme weather. In addition, public structures can be classified differently than residential or commercial structures, so it’s important to talk to people with experience such as Landmark. 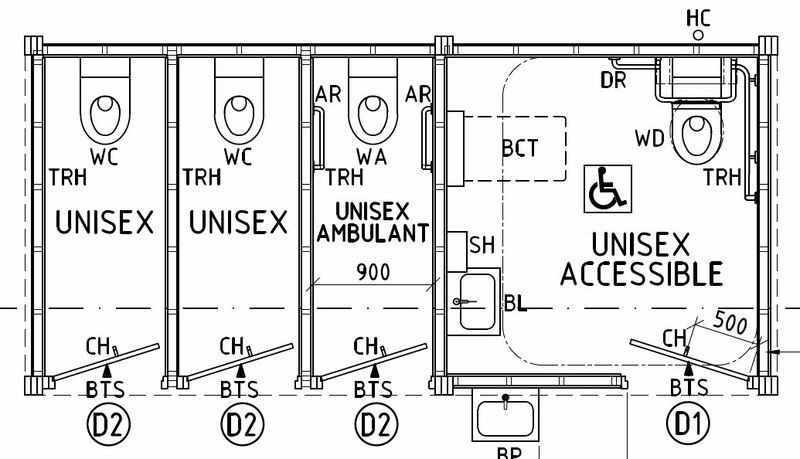 No matter where in Australia you intend to build a restroom, shelter or sporting facility, getting the right advice on the appropriate wind classification is a matter of public safety (and in fact a requirement) and should always be a priority. All diagrams and tables courtesy of Stratco, a major supplier to Landmark Products. Their full document on wind classification is available here.